By Jessica Snow September 7, 2015 January 2, 2018 Community and Family Engagement, Equity of Access, YALSA Info. The President of YALSA, Candice Mack is focusing her year as President with an initiative, “3-2-1 Impact: Inclusive and Impactful Teen Services,” which will focus on building the capacity of libraries to plan, deliver and evaluate programs and services for and with underserved teen populations. Visit YALSA’s wiki to find and share information about serving diverse teens and building cultural competence. I work with the Lindsay School (a local school for teen moms) and conduct life skills courses through a State funded program called STEP (Skills for Teen Parents). We meet with approximately 40 teen moms on a weekly basis and we focus on different topics each week. I work with Southwest Key which is an organization that provides temporary housing and services for recent unaccompanied migrant youth coming to the United States. I conduct regular tours in Spanish to introduce the library as a friendly and welcoming place and work with the Reforma Children in Crisis Taskforce to provide free books for all of the youth in these facilities. Working with REFORMA on a national level for me has really helped support and expand this partnership with Southwest Key into the great partnership that it is. The youth in Southwest Key could be in the shelter for a week or up to three months. 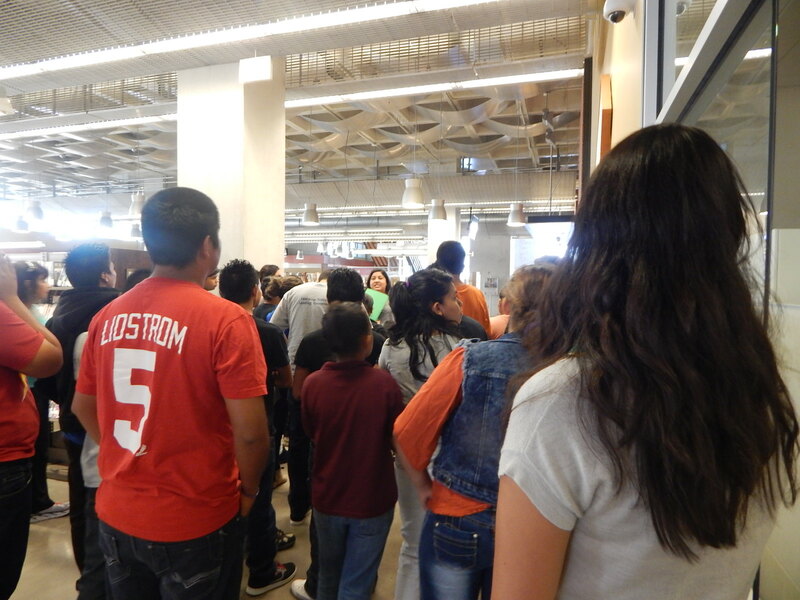 The San Diego Public Library provides twice monthly 2 hour tours for the youth at Southwest Key to introduce them to the library. 90% of the youth may not have ever used libraries so it is really a chance to highlight all of the great things the library can provide. This year we also registered the entire center for our Summer Reading Program. I serve as an advisor for our SPECTRUM Youth LGBTQ+ group and host weekly meetings for the group and provide a space for community youth to meet and share their experiences as well as plan activities to reach other youth in the community and raise awareness. Our current focus is services to transgender and queer youth. Right now the teens have been very busy in planning their involvement with the San Diego Trans Pride https://www.facebook.com/SDTransPride and the San Diego Pride Parade in which they march as well as have a high profile visibility assisting at booths where they are able to share with others the work they are doing in the library for and with LGBT youth. I also work with libraries in Tijuana Mexico and collaborate with librarians internationally to exchange best practices and ideas by hosting a yearly conference titled Creando Enlaces. When I do the twice monthly visits from Southwest Key I organize a cart of books in Spanish, grab all the program information flyers, library card applications and other resources that might be helpful and have those ready to share. I do a full on two hour tour of the Central Library with an emphasis on the teen space and the services and programs we provide as well as encouraging the teens to see the space as a safe place and a place to come and be themselves. 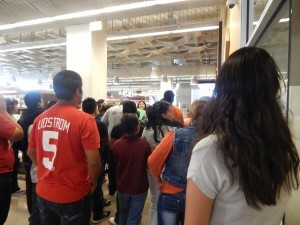 The visits really focus on introducing the teens to the library and all we provide. With the work I do on the national level with REFORMA and the REFORMA Children in Crisis Project it has really helped to establish the partnership with Southwest Key and with their help it has given the ability to provide each teen with books to serve as companions on their journeys. For the Spectrum program, we meet weekly and my role is mostly as a facilitator as well as supporting the ideas the teens will have for programs, possible organizations or guests to bring in to share their knowledge and to try and connect the teens to some of those outside organizations. In the month of June they were working on being a part of San Diego Trans Pride https://www.facebook.com/SDTransPride and assisted at a clothes swap booth at the event to share information about their group as well as sharing zines and books in a mini library at the festival. They work on programming and helping to make the space a safe space for teens. It warms my heart to hear teens say things like coming to the library was fun, like maybe they weren’t expecting it to be. I love to hear they can’t wait to come back to the library. It’s always rewarding to hear that I helped them.